GROW YOUR STEEMIT ACCOUNT LIKE YOU GROW YOUR TREE & EAT FRUITS AFTERWORDS!!! We all know that we have to grow a shrub if we have to eat its fruits ,than we give our time to it we take care of it like a child ,than when it grow upto a tree we dont have to take a more care to it .its already grown & it can take care on its own. Like the same we have to take care of our Steemit account when we are at the starting of it,than we have to work hard to show our talent in any field we are good at,than people will stat following us & our steemit account will grow like the tree grown from shrub to tree. 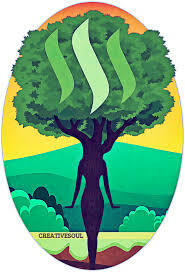 when we done our hard work & we are at a place where we can see our steemit account is good than it started to give its fruits to us like tree do. I hope readers of this post got my point what im trying to say.if you agree with it than hit upvote,resteem,& follow me for more post like this. This comment has received a 0.47 % upvote from @speedvoter thanks to: @cbeep.